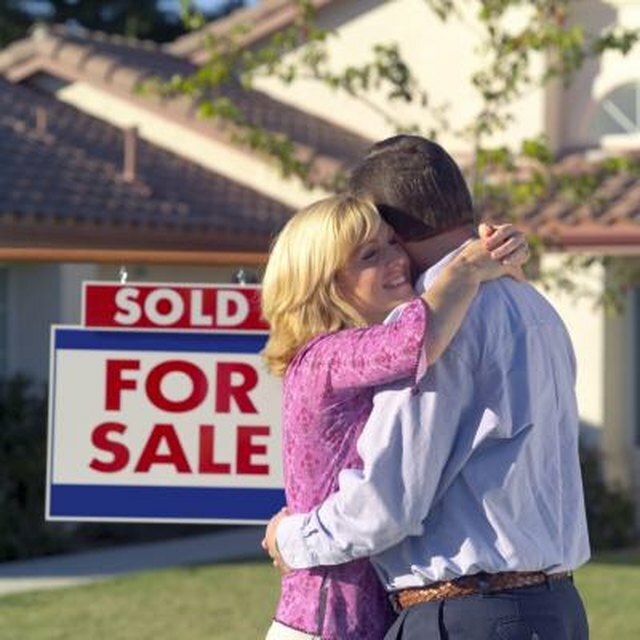 Selling your house to your child can solve problems and create some at the same time. When you sell to your child, you avoid paying a commission and you get the opportunity to help him and you out by structuring a transaction that works for both of you. On the other hand, the Internal Revenue Service frequently watches transactions among family members and can step in and levy taxes if something doesn't look right. If you are selling your house to your child, you may incur additional tax liabilities if you offer it for a severely discount price below fair market value. The first step in selling a house to a child is to establish its market value by hiring a professional appraiser to calculate its market value. While you might not choose to sell it at market value, knowing its true market value serves two purposes. First, both you and your child get to set a price that is fair relative to the home's actual worth. Second, it gives you a guideline you can use in tax planning. To this end, an actual professional appraisal is a good choice because it's likely to be accepted by the IRS. If you sell the house to your child at or near the property's market value, as established by the appraisal, there are no special tax considerations. You and he can execute a purchase agreement as if you were not related and consummate the sale. The IRS lets you exclude up to $500,000 of capital gains from the sale if you're married or $250,000 if you're single as long as the house was your primary residence for two of the last five years. Determining whether you sold for market value can be tricky, since the IRS doesn't give clear guidance. If your house appraises for $200,000 and you sell it to your son for $195,000, it would probably be considered a market value sale. On the other hand, if it appraises for $200,000 and you sell it for $1 or $100,000, the IRS would look at it as a discounted sale. The break point is somewhere in the middle, and you may need the help of an accountant or attorney to assess what you should do. When you sell the property to your son for a price that is below the market value, the IRS considers that discount to be a gift. You and your spouse are each allowed to give a certain amount every year tax-free. For 2018, the limit is $15,000 per person, so, if you're married, the first $30,000 of discount is tax free. If you give a larger discount than the tax-free amount, though, you'll have to file a gift tax return. The IRS also gives you a lifetime exclusion of $5.49 million, as of 2018, so you probably won't pay tax on the discount, but it will reduce the amount of property you can pass to your heirs tax-free when you die. One way to help your child buy your home is to act as the lender. By financing the purchase for her, you save her from the inconvenience of going to a bank and going through its approval process. You also get to turn your house into a long-term cash flow stream, thanks to your child's monthly payments. If you go this route, the IRS could consider a low- or no-interest loan to be a gift. To avoid triggering the gift tax, set your loan's rate at or above the applicable federal rate, set by the IRS and posted monthly on its website. However you choose to structure the sale, selling your house to your child is still a legal process. You'll still need to sign deeds and, if she's getting a mortgage, comply with her lender's requirements. When you choose to finance the property, you may also want to protect yourself by setting up a formal legal arrangement to ensure you get your monthly payments. It's wise to get the help of an attorney who can advise you on any tax implications and help you properly draft the documents so that both you and your child are protected.